Each year roughly 7.6 million dogs and cats enter animal shelters across the country. Of these animals, only 10% are spayed or neutered upon entering a shelter. Considering the average intact female dog can produce 1 litter per year and the average intact female cat can produce 1-2 litters per year, it’s no wonder there are so many homeless pets in the United States. Permanent sterilization is more than just a way to prevent an unwanted litter, however. It turns out that having your pet spayed or neutered is also one of the most important health decisions you’ll make for him or her. Spaying or neutering is an important part of your pet’s overall wellness care. Animals that have been “fixed” are at decreased risk for a variety of behavioral and health related issues. Spaying offers significant protection against uterine infections and mammary tumors, which are cancerous in about 50% of dogs and 90% of cats. Having your pet spayed before her first heat cycle gives her the best chance of avoiding these diseases. Neutering your male pet decreases the incidence of prostate problems and completely eliminates testicular cancer. Intact dogs are also at a higher risk for perianal gland tumors. Let’s Not Forget The Behavioral Benefits! 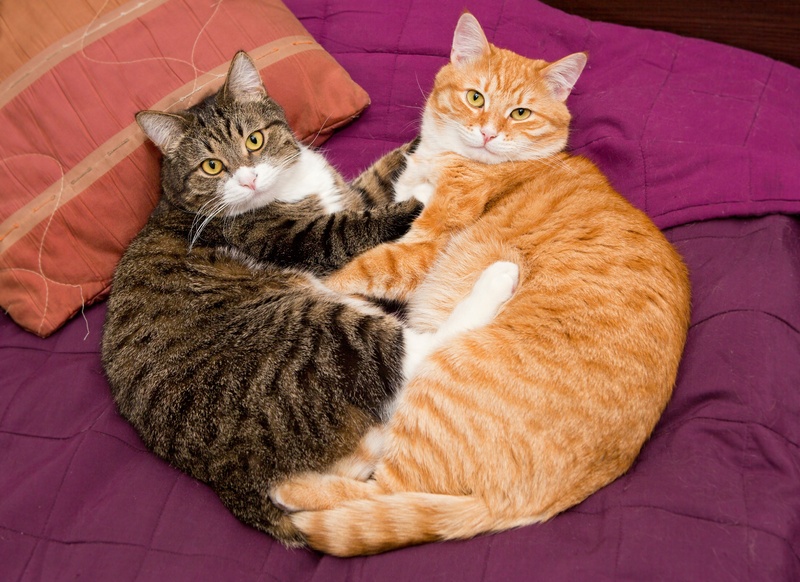 Since a neutered male won’t be actively searching for a “significant other”, he is less likely to try and escape the house or yard, and more likely to be content at home. Spayed females do not go into heat, meaning you won’t have to contend with the yowling and frequent urinating that typically accompany a heat cycle. Spayed and neutered pets are more likely to focus their attention on their human families which often leads to better behavior overall. Approximately 2.7 million homeless dogs and cats are euthanized every year simply because there isn’t the space or resources to care for them. By having your pet spayed or neutered, you are effectively doing your part in the fight against this sad statistic. Having your pet spayed or neutered is major surgery and should be taken seriously. Keep in mind, however, that these are the two most common surgical procedures performed at veterinary clinics and hospitals around the country and the risks are relatively low. Your veterinarian will be happy to discuss the procedure with you and respond to any questions or concerns you may have, and the VitusVet app can track those surgical records for you. Talk to your pet’s veterinarian about the benefits of spay or neuter surgery today!